The antarctic toothfish is found in Antarctic waters, ranging from 300 to 1,800 metres deep. They are only caught over the summer months, when sea ice has retreated sufficiently to allow access to the fishing ground. 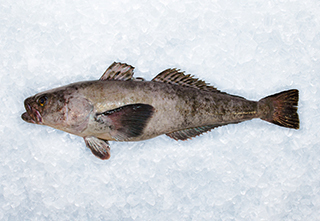 All antarctic toothfish fisheries are regulated by the Commission for the Conservation of Antarctic Marine Living Resources (CCAMLR) and are MSC certified. These fish are greyish in colour with a broad head, elongated body, long dorsal and large pectoral fins. High in fat and rich in omega-3 with white flesh and broad flakes, it is ideally suited to marinating and grilling.